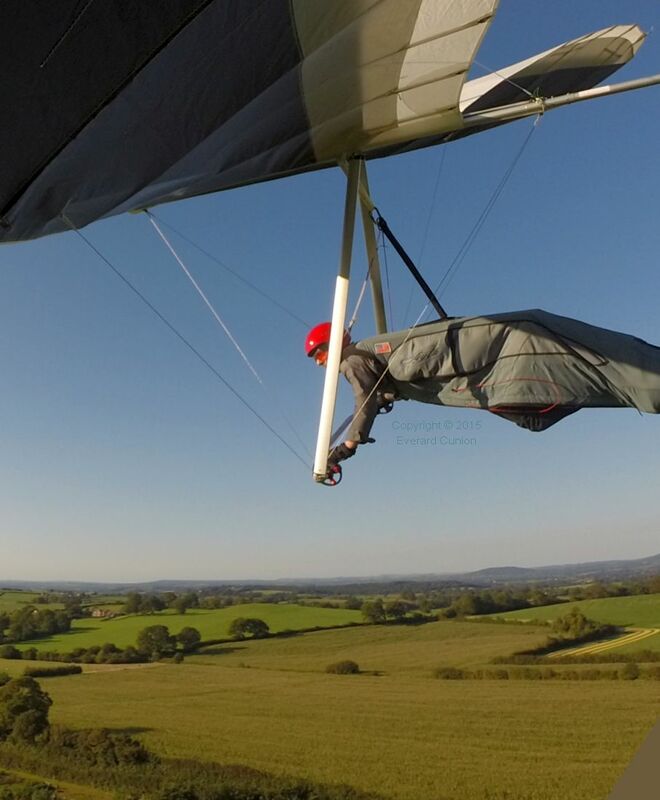 This page continues from Hang gliding 2015 part 2. 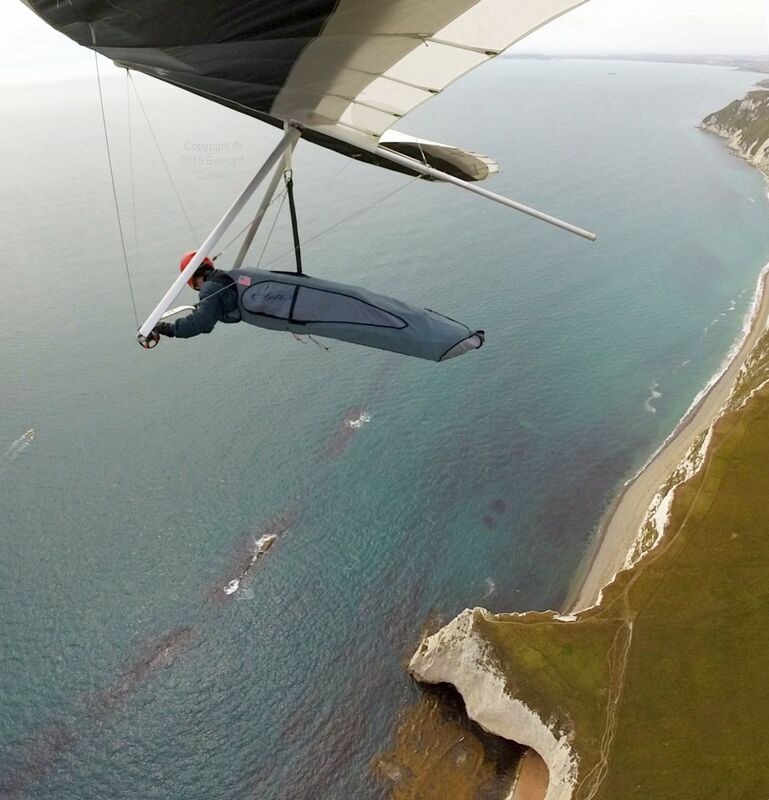 The cliff run from Ringstead Bay to Lulworth Cove was possible one day in mid July, but the lift was not strong enough to rely on getting back to Ringstead. I had never ventured south of the White Nothe before. The ocean cave entrance leads to SPECTRE’s new rocket launch complex — relocated from Japan after James Bond and a force of Ninja’s blew up the first one. See Saving Major Tom, my review of the 1968 movie You Only Live Twice. The journey back after I turned round was at a lower height than I was comfortable with. The beach is too narrow for a safe landing (also, it can be reached only by boat) and rotor from the cliffs makes a down-wind dash to land in a field hazardous. The west face of the ‘step’ cliff, which is where I headed, is just visible to the right of my helmet. Where the bushes/trees end at far right is the start of the emergency bottom landing field. 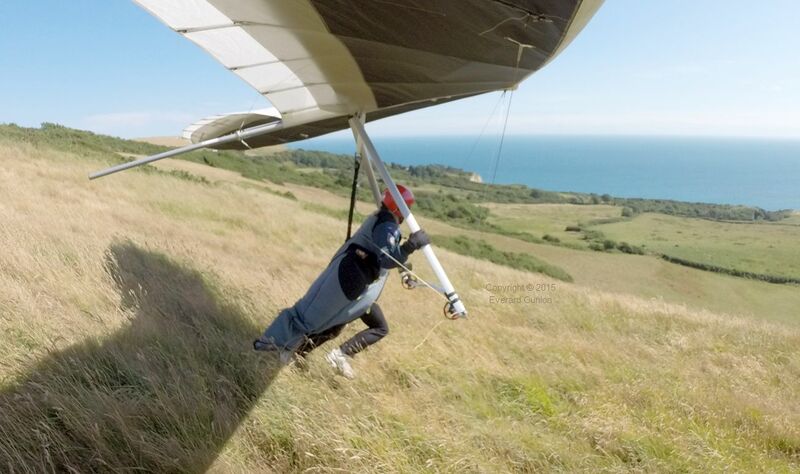 Strong turbulence is a feature of the take off hill here, at least in spring and mid-summer, even when the lift on the cliffs is perfectly smooth. 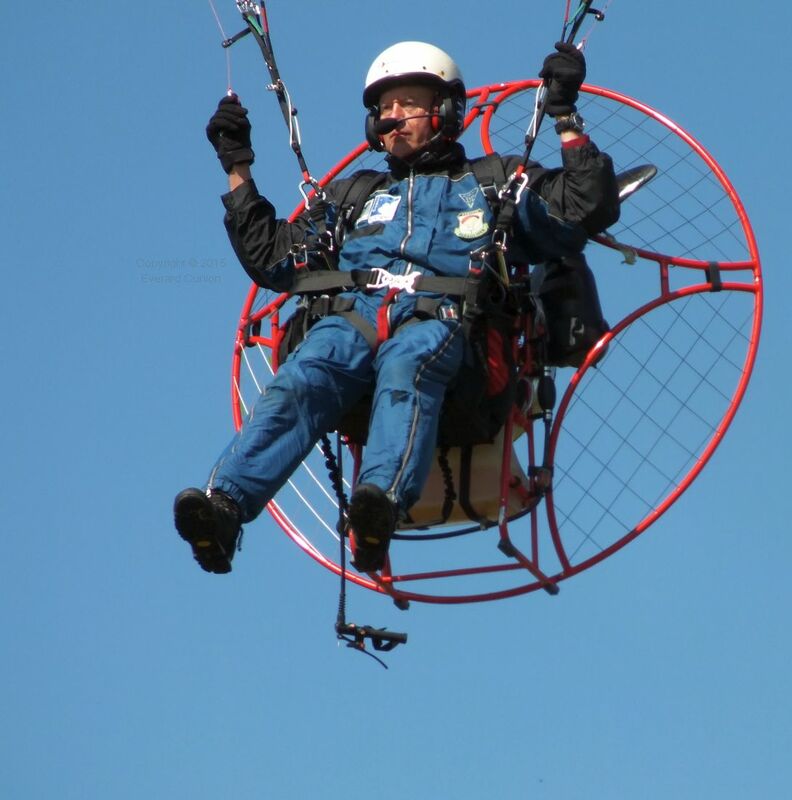 “On the step!” is what the jump-master shouted in preparation for some of my parachute jumps from a Cessna 206. However, here I refer to the west facing ‘step’ cliff at Ringstead. Having gained some height there, I am setting out for the first part of the main cliff. 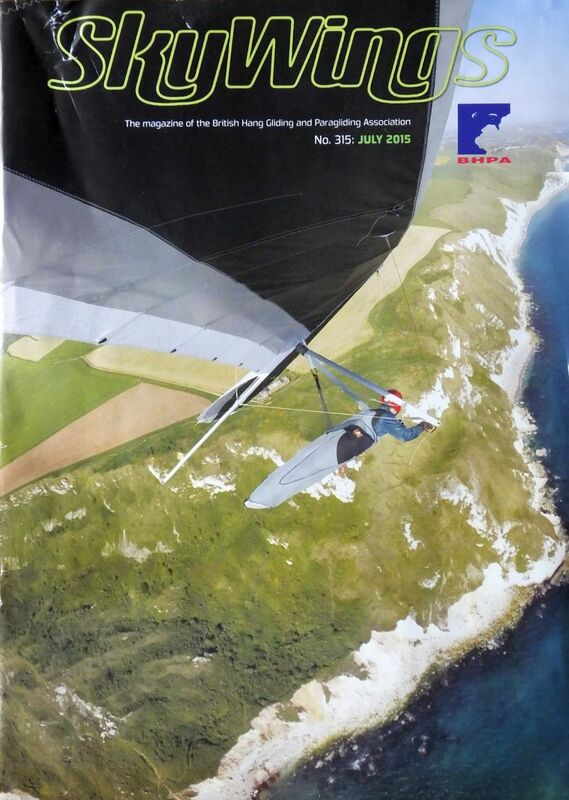 In this photo on the cover of the July 2015 edition of SkyWings, the UK hang gliding and paragliding magazine, I am turning a complete circle to the left, to head back in the opposite direction. 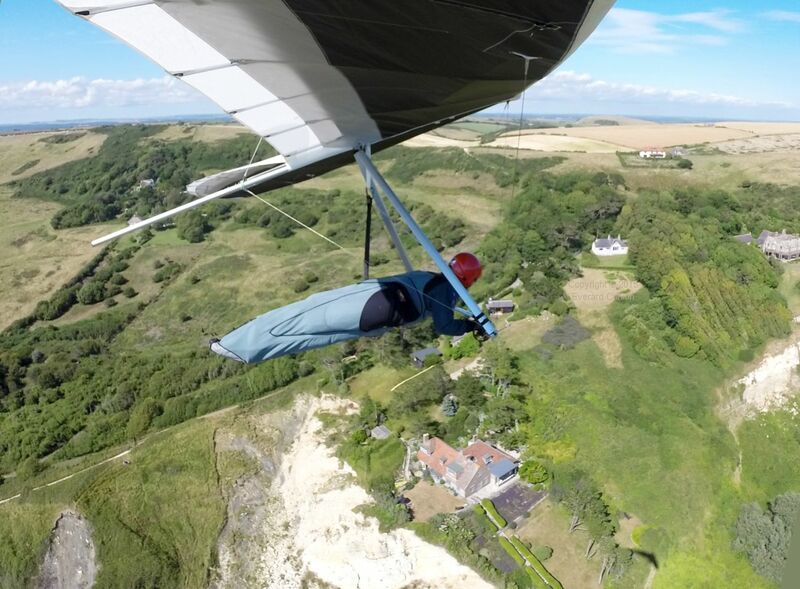 The yellow bar on the hilltop directly under me is Gary D’s Avian Amour, a 1990s hang glider which is so quick to rig he had flown and landed while I was still rigging my U-2! 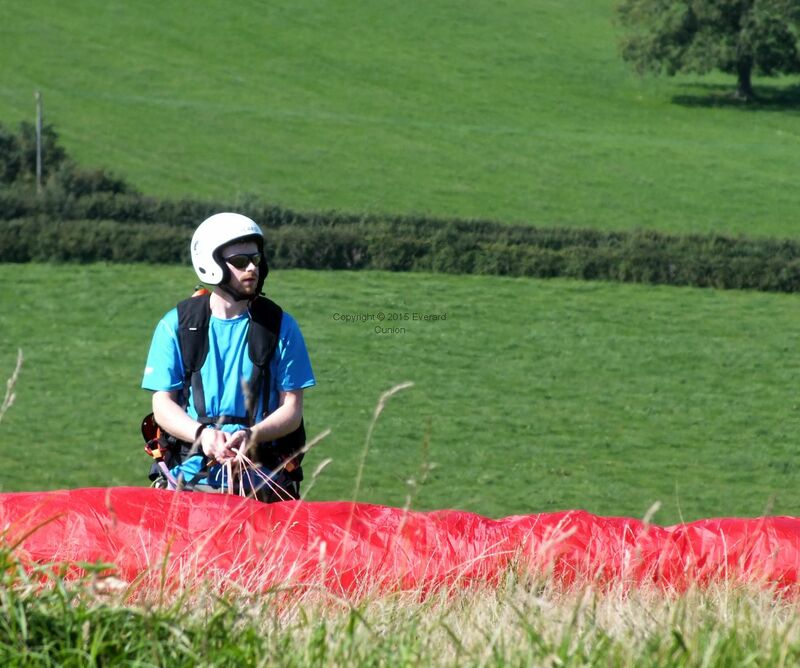 Farther along is Sean’s U2 laid flat on the hill near one of the exit gates of the top landing field. 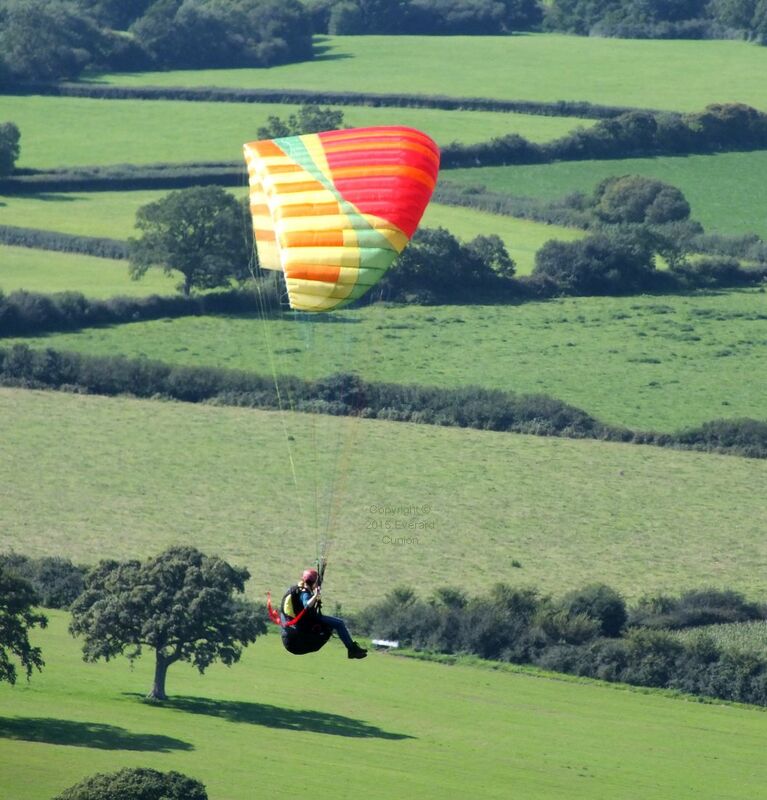 Conditions on the hill eventually calmed enough for paragliding. Jon H launched in a new (secondhand) Moyes Xtralite, a heavy (to carry) 1990s hang glider with good performance and light handling (for its time). 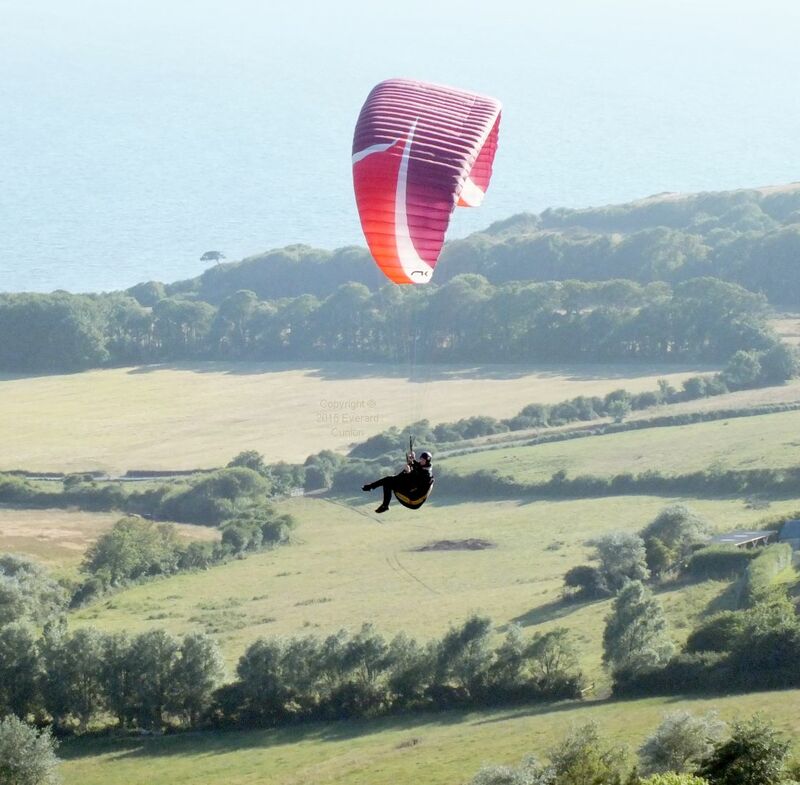 Having experienced the strong turbulence on the Ringstead take-off ridge just a few weeks before, he was being extra careful, launching from a steep part of the brow of the hill. Therefore, it was with some concern that we saw him let go of the control bar immediately the wing lifted him off the ground. He explained afterwards that it was not intentional. 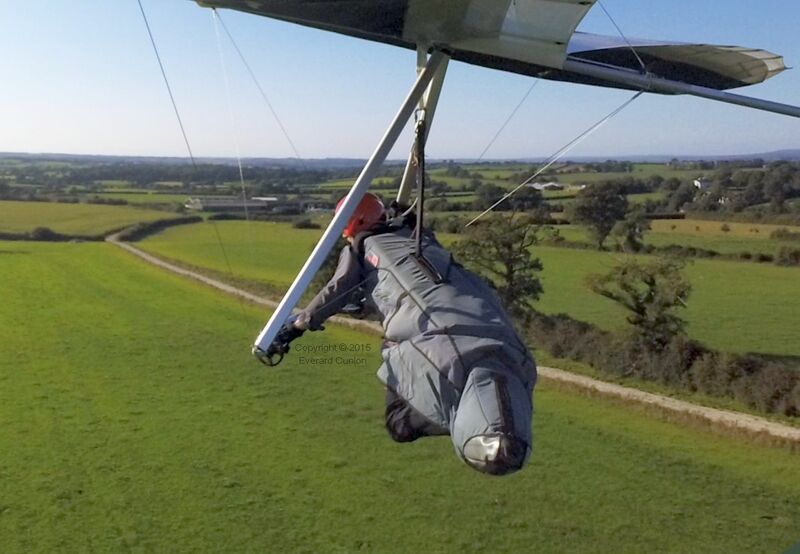 The glider pitched up so strongly, the bar was pulled out of his grip. 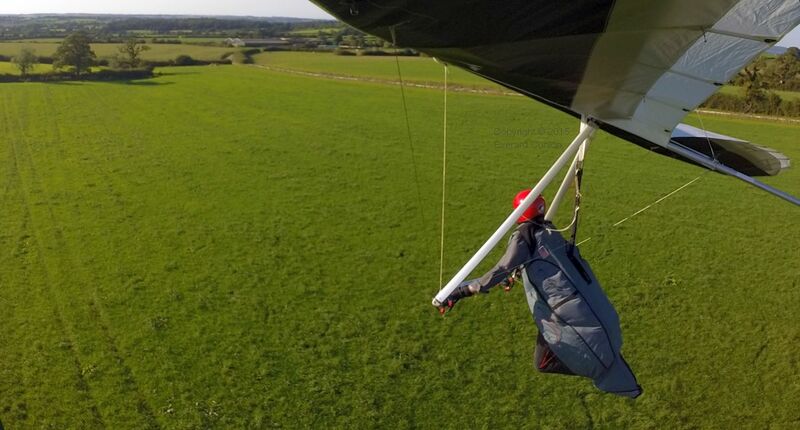 Fortunately, the remainder of the flight was uneventful. 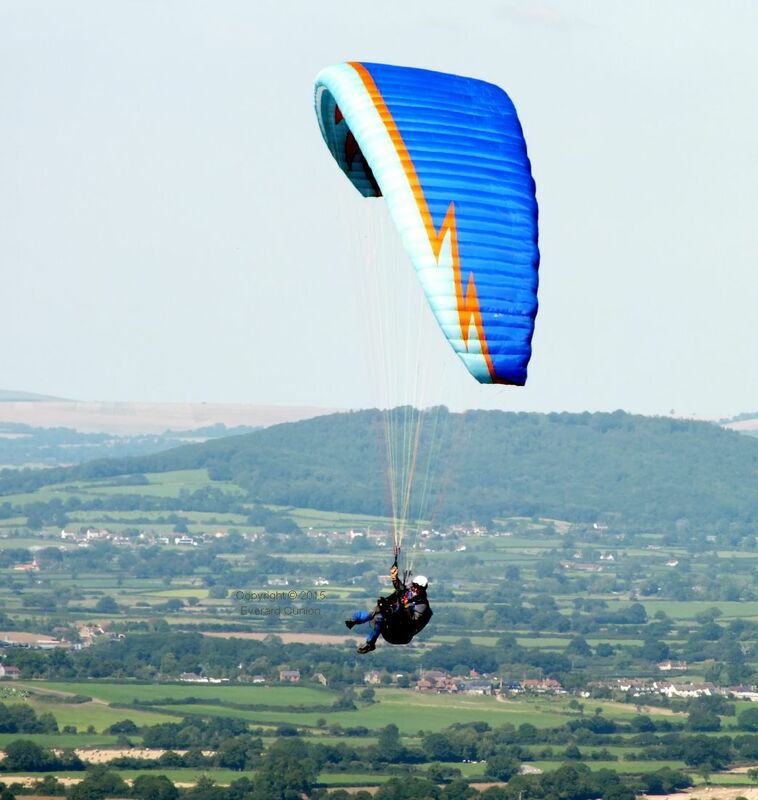 Soon, a new Avian Puma (under test by Garry H for the UK hang gliding magazine), a rigid wing with its pilot flying ‘supine’ in a paragliding harness, an Airwave Calyspso flown by a long-time (1976) pilot, and one of the usual Avian Rio 2s, were bright gleams reflecting late afternoon sunlight high above the cliffs in the distance. How did I do? I did not fly. Mainly because I did not feel 100 percent fit. I had symptoms similar to hay fever during the whole of the previous week, but I now believe it was something else. (No idea what.) On this Saturday I had a headache and the sensation that I was not fully up to speed. That, combined with the challenging conditions at take off, caused my decision. Sometimes, it is best to declare a personal no fly zone. When it all began with Adam and Eve. 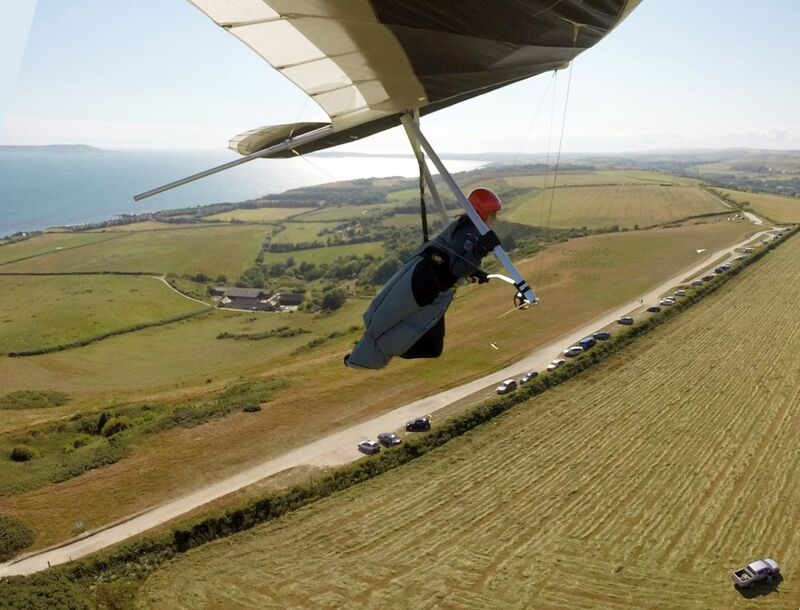 Sean S flew his paramotor from this blue day in early September at Bell Hill to the coast to see if conditions were any better at Ringstead. 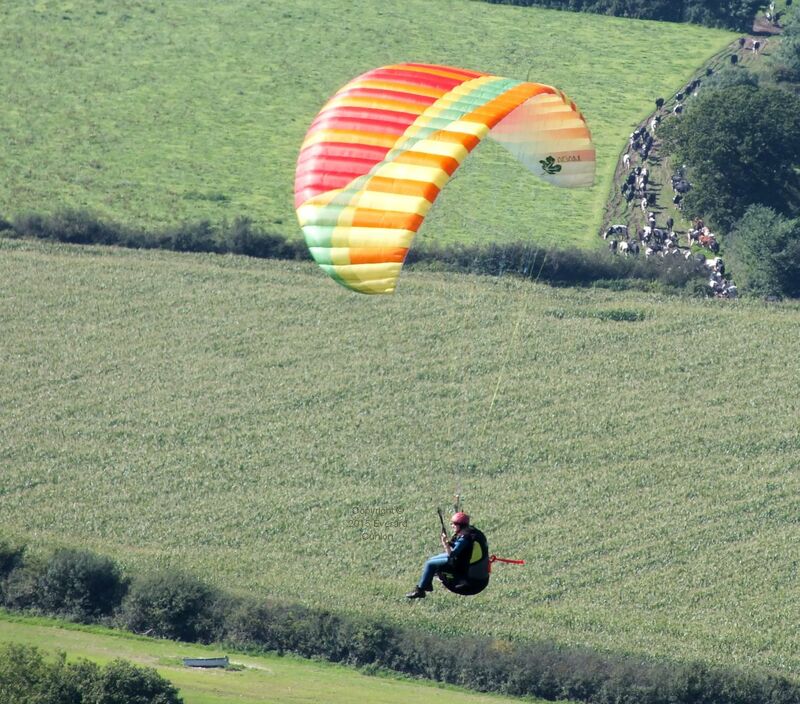 As always in light thermic conditions, paragliders sought out and took advantage of whatever lift was out there. 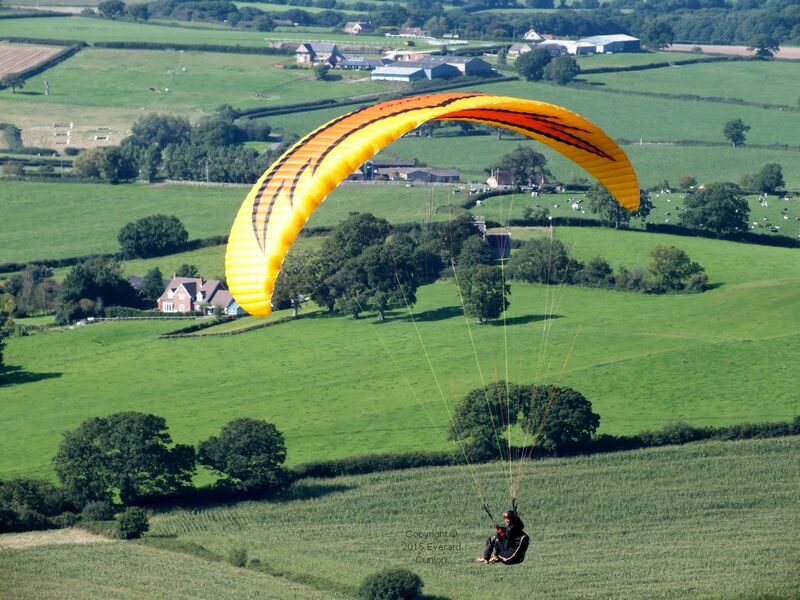 This Firebird is one of the few good-looking paragliders (in my view) that has been around for a while. 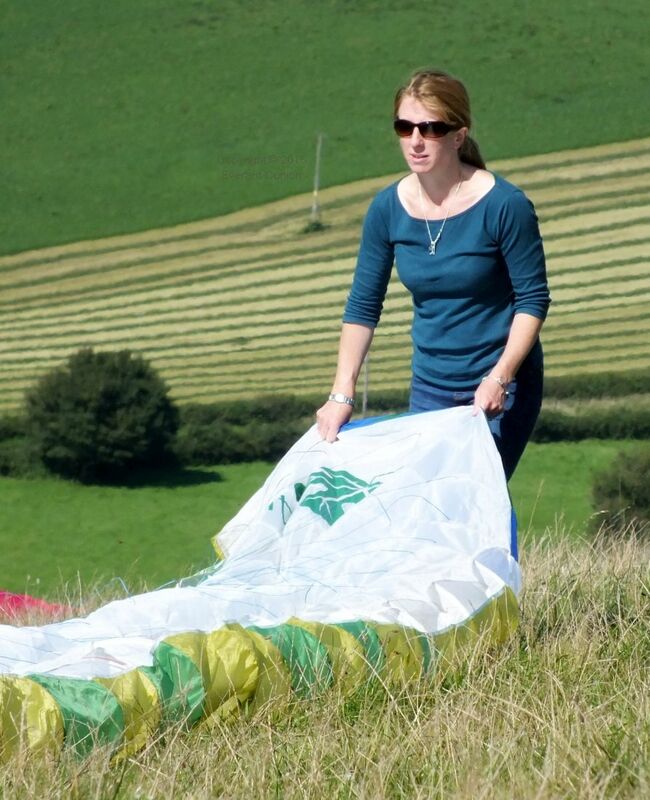 Eventually, I launched my hang glider into a breeze so light it barely ruffled the sail. Three minutes later, I landed at the bottom. Would you Adam and Eve it!